When a loved one’s medical condition has deteriorated to the point where the physicians involved in their care determine they are terminal, feelings of sorrow, disappointment, and fear can rattle us. Even when it isn’t a particularly shocking turn of events, with obvious evidence of declining health, still,coming to grips with the finality of this word, “terminal,” can be extremely difficult. Suddenly our worst fears have come true and we must prepare for our loved one’s final chapter of life. If this loved one has been in a hospital environment for medical treatment when the new prognosis is made, they will need to be prepared for the upcoming process of hospital to home transition. The transitioning from a hospital setting, which is curative, to a home hospice setting, which is palliative, can be a difficult concept to accept. Maybe the patient has been in treatment for a medical condition for months, even years, with high hopes for beating the disease at some point. To suddenly be informed that there is no viable cure can be highly distressing to both the patient and their family members. To help smooth the hospital to home transition, both the hospital caregivers and the hospice team need to be in sync, sharing pertinent information about the goals and needs for the patient once they arrive home. With attention paid to the important details involved, much confusion and stress can be mitigated, which is beneficial to the patient above all others. One of the top priorities involved in transitioning someone from a hospital setting to home hospice care is minimizing stress and disruption for the patient. This individual will likely be in very poor health, with little energy available for managing the stress that can happen when the transition is not handled with care. 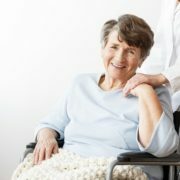 The hospital health providers will be shifting care responsibilities to the home hospice team, so these doctors and nurses must provide adequate time for the preparations to be made, for equipment to be ordered and delivered prior to the patient’s arrival home, and for the family to become properly prepared. Enrolling a patient into a home hospice environment can be a complex endeavor. There are many instances where inadequate communication between the hospital staff and the hospice provides causes undue stress to both the patient and the family. The transition works best when the hospital includes the hospice team in the discharge plan so that all needs can be coordinated in a timely manner. One of the most common problems during the transition is the rushed process that results from inadequate lead time, causing commotion and stress at the patient’s home due to delayed equipment arrivals. The hospice team should clarify the scope of their services with the patient prior to discharge or signing a contract, as hospice services can vary. In addition, the hospital staff should inquire if the hospice team can provide continuous care, should the need be warranted. Problems arise when a patient is discharged to a hospice care team that does not offer the necessary level of care. What Does Home Hospice Care Entail? Hospice care emphasizes the importance of providing comfort and solace to a dying patient, thereby improving their quality of life during their final weeks or months. While hospice nurses continue to provide medical care of wounds, managing catheters and I.V. lines, medication oversight, and general monitoring of the patient’s condition, the priority in hospice care is providing relief from pain and overall comfort. 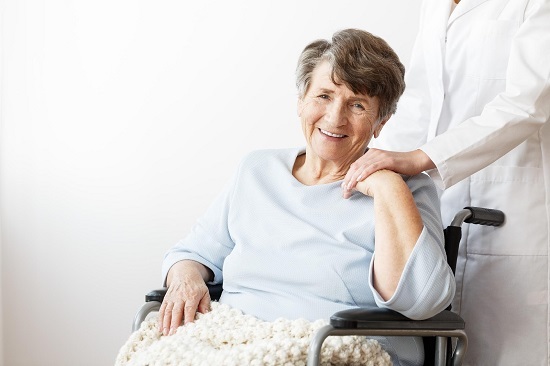 Hospice care services provide the equipment needed, such as a hospital bed, toileting equipment, wheelchairs or walkers, breathing treatment equipment, and other basic medical supplies. The hospice care team will likely include several practitioners, such as a physician who oversees the team and medications, hospice nurses, a social worker, a therapist, and home health assistants. They can arrange for spiritual caregivers such as clergy to meet with the patient as well. In all, hospice care provided within the familiar surrounding of home and family can allow an individual the highest degree of comfort and care in their last chapter of life. Kinkaid Private Care is owned and operated by a registered nurse, Jennifer Bembry, with a lengthy career in critical care, oncology, and home health care. The founder’s dedication to serving patients in their own homes makes Kinkaid Private Care a unique home hospice program that puts a special emphasis on a smooth hospital to home transition for hospice care. Offering the highest level of hospice care in the comfort of one’s home is in our DNA. In addition to the many palliative measures that provide the highest degree of comfort and quality of life for the patient, our home hospice team will also provide concierge spa services that can enhance patient comfort and reduce stress. For more information about our private home hospice care services, please contact Kinkaid Private Care today at (877) 388-6373.